On January 18, 2011, Senator Gale D. Candaras (D - Wilbraham) and Representative John V. Fernandes (D - Milford) filed An Act to Reform and Improve Alimony. The Act proposes sweeping changes to the Massachusetts alimony laws, and has already been endorsed by the Massachusetts Bar Association. As we discussed in an article on December 3, 2011, a Legislative Task Force was created to recommend changes that would reach a consensus between Judges, attorneys and the alimony reform advocates. The Act proposed by Senator Candaras and Representative Fernandes is the result of that Task Force's hard work and according to the Press Release, the Act has the unanimous support of all members of the Task Force. Kelsey & Trask, P.C., the authors of this Blog, have created a website that summarizes the provisions of the Act and provides a calculator based on the General Term Alimony recommendations: MassAlimonyFormula.com. needs of each of the parties and the opportunity of each for future acquisition of capital assets and income. and such other factors as the court may deem relevant and material. Formula: NONE Formula: Not to exceed the recipient's need or 30% to 35% of the difference between the parties gross incomes. Rehabilitative Alimony: 5 year maximum. 20 years or more - indefinite. Retirement: No mention. Judge's have discretion per Pierce case. Retirement: Alimony terminates upon payor attaining the full retirement age per the old-age retirement benefit under Social Security. Remarriage of Payor: income and assets of the payor's spouse can be considered. Remarriage of Payor: income and assets of the payor's spouse shall not be considered in a redetermination of alimony in a modification action. For more information about the Act, visit MassAlimonyFormula.com. For more information about the current state of alimony in Massachusetts visit our website's Alimony page. Wow. I have to say I'm interested to see how this turns out. I find the "Remarriage of Payor" most intriguing. I'm in Arizona, and some of the items almost parallel our already existing statutes re: Spousal Support. See A.R.S. §25-319, the termination clause is A.R.S. §25-327. Early 2010 the state decided to forego the Maricopa Formula for Spousal Support, at the suggestion of several Judges. On the average, it appears AZ Judges favor a term of 3-5 years of maintenance for recipients. Perhaps Arizona and other states may review the MA Reform, especially the Durational, Formulary, and Retirement segments. Personally, I see a flaw in the Remarriage of Payor Summary, though. IF the additional income of the new spouse isn't considered to increase the Alimony, (my argument) WHY would the Cohabitation of the Payee be considered grounds for Modification or Termination? Isn't it the same principle? Jeri S .... that is because the reform bill bases alimony on "need". Co-habitation of the payee decreases her/his living costs, but the remarriage of the payor does nothing to change the living costs of the payee. The spirit of the reform bill seems to be minimize alimony and get the recipient to become self sufficient as early as possible. Payors who were married to the alimony recipient twenty (20) years or less but more than fifteen (15) years may file a modification action three and one-half (3 ½) years after the effective date of the remaining provisions of this law. why are payors who have been paying long term being asked to continue for three years? take a promotion in another state. Please tell your daughters to not ever feel GUILTY about farming out their children to nannies and in fact they should never turn down a job opportunity like travel to china for a month for work. Only 50% of marriages make it so to bank your financial future on your husband is insane. The day and age of putting the husband's career first is also insane.Us mothers need to do a better job of raising our daughters so they don't fall into the same trap that we did by accepting part time work that doesn't pay let alone have medical benefits so we could be at parent/teacher meetings. With computers today why do we need to meet face to face with teachers. We could just conference through our lap tops while at the office. To all mothers and daughters, we have to put our careers first. If you accept part time work you will not get promoted and just barely make enough to scrape by if God forbid your husband decides he wants a younger girl. If you work from the home, you will not be visible to those in the office and will be passed over for big promotions. Daughters your mothers have left you this legacy. We tried to do it all and some of us actually think we have but in all honestly we failed. We have left you with no tools (5 yrs of alimony on avg then kicked out). Please listen to me. PUT YOURSELF FIRST. IT IS OKAY FOR IT TO BE ALL ABOUT YOU. IF YOU DON'T YOU TOO WILL BE OUT ON THE STREET WITH NO FIANCIAL SAVINGS. DON'T TRUST THE SYSTEM. IT IS SET UP FOR THE PARENT THAT IS FOCUSED ON THEMSELF NOT THE CHILDREN. DON'T FOLLOW YOUR GRANDMOTHERS AND MOTHERS. YOU NEED TO PUT YOURSELF FIRST. YOUR CAREER IS IMPORTANT AND IS YOUR ONLY FINANICAL SECURITY. PROTECT IT AND GUARD IT. AND NEVER FEEL GUILTY. MEN HAVE BEEN DOING THIS FOR YEARS AND THEY DO NOT HAVE THE FINANCIAL FEARS THAT US LADIES HAVE WHEN GOING THROUGH A DIVORCE. THERE IS NO REASON FOR OUR DAUGHTERS TO HAVE THAT FEAR. WE NEED TO CHANGE SOCIETIES VIEW ON FAMILIES. PUTTING YOURSELF FIRST IS A SURVIVAL KIT WITH TODAY'S NEW ALIMONY REFORM. DAUGHTERS YOUR CAREER COMES FIRST...BEFORE KIDS....BEFORE HUSBAND...BEFORE EVERYTHING. ITS YOUR SECURITY. AMEN!!! God love you. I put EVERYTHING into MTV now ex- husbands medical career. Stayed home, did everything. Then he leaves me after 22 years for a girl his daughters age!!! And I have no career, no skills. It is HORRIBLE!! I totally agree with you. NEVER, EVER BEVOME DEPENDENT ON ANYONE EVEN IF YOU MARRY THEM.!!!!! You never think its going to happen to you. Neither did I. But it most certainly can and will. 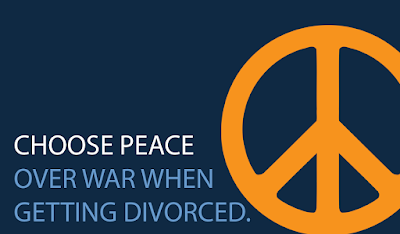 More than 50% of marriages end in divorce. Your not special. Beware please.